The original international phenomenon, RIVERDANCE, the thunderous celebration of joyful music, song and dance that has tapped its way onto the world stage thrilling millions of people around the globe, will return for one week only to the Pantages Theatre, opening November 15, 2011 � exactly 15 years to the day the show originally premiered at the landmark Hollywood venue. When RIVERDANCE first played the Pantages Theatre in 1996, the engagement completely sold out by opening night, thereby ingraining itself as a true Southland blockbuster. Tickets for RIVERDANCE may be purchased online at www.BroadwayLA.org or by phone at 1-800-982-ARTS(2787). Tickets may also be purchased in person at the Pantages Box Office and all Ticketmaster outlets. The Pantages Theatre is located at 6233 Hollywood Boulevard, just east of Vine Street, and the box office opens daily at 10am. 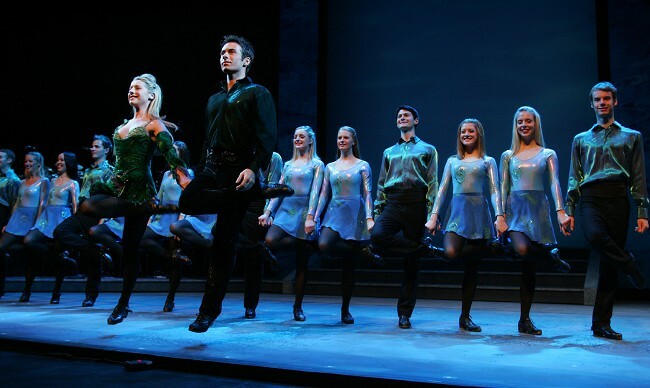 RIVERDANCE had its world premiere at the Point Theatre, Dublin, in February 1995, where it opened to unanimous critical acclaim. An innovative and exciting blend of dance, music and song, RIVERDANCE draws on Irish traditions, and the combined talents of the performers propel Irish dancing and music to the present day, capturing the imagination of audiences across all ages and cultures. This extraordinarily unique show features an international company performing to the music of Bill Whelan. �An explosion of sight and sound that simply takes your breath away,� cheers the Chicago Tribune. �A family evening unlike anything else!� raves The London Times. Whether it�s your first time or your fifth, RIVERDANCE is always a fresh theatrical experience to be enjoyed with friends and family. The performance schedule for RIVERDANCE is Tuesday through Friday at 8pm, Saturday at 2pm & 8pm, and Sunday at 1pm & 6:30pm. Orchestra level tickets for RIVERDANCE start at just $25. Prices are subject to change without notice. For more information on RIVERDANCE, please visit www.Riverdance.com. For tickets or more information about RIVERDANCE�s Los Angeles engagement, please visit the Pantages Theatre�s official website, www.BroadwayLA.org. (New York, August 8, 2011) � The Metropolitan Museum of Art announced today that the exhibition Alexander McQueen: Savage Beauty, which closed last night at midnight, attracted 661,509 visitors during its run from May 4 to August 7, placing it among the Museum�s top 10 most visited exhibitions. Joining other blockbusters on the list such as Treasures of Tutankhamun (1978), Mona Lisa (1963), and Picasso in The Metropolitan Museum of Art (2010), Savage Beauty ranks as the eighth most popular exhibition ever held at the Met in its 141-year history, and is the most visited of the special exhibitions organized by The Costume Institute since it became part of the Museum in 1946. To accommodate the public�s keen interest, the Museum extended the exhibition by one week, offered a special viewing hour for Members daily at 8:30 a.m., added late hours through midnight on the last weekend, and implemented $50 ticketed Mondays with McQueen so the public could see the exhibition when the Museum was normally closed. The eight Mondays when the exhibition was open attracted more than 17,000 visitors. During the run of the retrospective, more than 23,000 new Members joined at the Museum�more than double last year�s comparable numbers. The exhibition catalogue has sold well over 100,000 copies to date through the Met�s book stores and website, as well as through other outlets, with distribution by Yale University Press. Popular McQueen merchandise in the Met Shops, including armadillo shoe ornaments, crystal skull paperweights, and tartan purses, sold out several times and were repeatedly reordered. The exhibition could not be extended further because the galleries need to be turned over for the preparation of the exhibition �Wonder of the Age�: Master Painters of India, 1100-1900, which will open on September 28. Alexander McQueen: Savage Beauty is made possible by Alexander McQueen�. Additional support is provided in partnership with American Express and Cond� Nast. The new Broadway musical, COME FLY AWAY, conceived, choreographed, and directed by Tony Award-winner Twyla Tharp and featuring vocals by Frank Sinatra, will makes its Los Angeles premiere at the Pantages Theatre for a strictly-limited 2 week engagement, October 25 - November 6, 2011. The score of COME FLY AWAY combines classic and newly discovered vocal performances from the Sinatra archives along with signature arrangements by Nelson Riddle, Billy May, Quincy Jones as well as brand new charts for this fresh innovative musical. COME FLY AWAY follows four couples as they fall in and out of love during one song and dance filled evening at a crowded nightclub. Blending the legendary vocals of Frank Sinatra with a live on-stage big band and 15 of the world's finest dancers, COME FLY AWAY weaves an unparalleled hit parade of classics, including "Fly Me To The Moon," "My Way," and "That's Life," into a soaring musical fantasy of romance and seduction. Charles Isherwood of The New York Times calls COME FLY AWAY "Spectacular and dazzling! This is a major new work, with a stage full of brilliant performers. Twyla Tharp's electrifying celebration of the music of Frank Sinatra will sweep you up in a complete spell." Linda Winer of Newsday calls the show "a dangerously gorgeous dance adventure" while Michael Kuchwara of the Associated Press called the show "Astonishing -- a love letter to romance, not to mention the man and his music, with eight marvelous leads and an orchestra of sterling musicians." And Richard Zoglin of Time Magazine states simply, "COME FLY AWAY delivers the purest jolt of pleasure to be found on a Broadway stage." COME FLY AWAY is the next and most elaborate chapter in one of the most fruitful collaborations in contemporary dance. Twyla Tharp's creative relationship with the music of Frank Sinatra began in 1976 with the premiere of Once More Frank, a duet created for the American Ballet Theatre, performed by Ms. Tharp and Mikhail Baryshnikov. The collaboration continued with Nine Sinatra Songs, Ms. Tharp's acclaimed piece for fourteen dancers which had its world premiere with Twyla Tharp Dance in 1982, and was followed by Sinatra Suite, a duet featuring Mr. Baryshnikov and Elaine Kudo, which had its world premiere in 1984 with American Ballet Theatre at the Kennedy Center. Citing it as one of the purest expressions of his body of work, Mr. Sinatra requested that Sinatra Suite be performed when he received his Kennedy Center Honors Award. COME FLY AWAY features scenic design by James Youmans, costume design by Katherine Roth, lighting design by Donald Holder, and sound design by Peter McBoyle. Additional arrangements and orchestrations are by Dave Pierce and Don Sebesky. 1-800-982-ARTS(2787). Tickets may also be purchased in person at the Pantages Box Office and all Ticketmaster outlets. The Pantages Theatre is located at 6233 Hollywood Boulevard, just east of Vine Street, and the box office opens daily at 10am. The performance schedule for COME FLY AWAY is Tuesday through Friday at 8pm, Saturday at 2pm & 8pm, and Sunday at 1pm & 6:30pm. COME FLY AWAY features a running time of 80 minutes with no intermission and is recommended for ages 10 and up. Please note that no one under 5 will be admitted to the theatre. Single tickets for COME FLY AWAY start at $25. Prices are subject to change without notice. For more information on COME FLY AWAY, please visit www.ComeFlyAway.com. For tickets or more information about COME FLY AWAY's Los Angeles engagement, please visit the Pantages Theatre's official website, www.BroadwayLA.org. 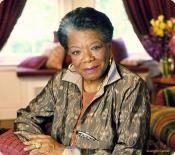 Dr. Maya Angelou is a remarkable Renaissance woman who is hailed as one off the great voices of contemporary literature. As a poet, educator, historian, best-selling author, actress, playwright, civil-rights activist, producer and director, she continues to travel the world, spreading her legendary wisdom. Within the rhythm of her poetry and elegance of her prose lies Angelou�s unique power to help readers of every orientation span the liens of race and Angelou captivates audiences through the vigor and sheer beauty of her words and lyrics. In 2012 the Santa Barbara International Film Festival will continue on its path to becoming one of the world�s most sought after and prestigious film festivals with the debut of its first ever Acquisitions Program, which will take place on the first weekend of the festival, January 27-29, 2012, it was announced today by SBIFF Executive Director Roger Durling. The weekend long program will be run in association with Traction Media, a Los Angeles-based film production and sales company, and was created to allow the acquisitions community easy, industry-friendly access to films at SBIFF. Together, SBIFF and Traction will select the films to be presented in the program, and buyers will be afforded priority access to the chosen films. For more information, log onto www.sbfilmfestival.org. The Santa Barbara International Film Festival will bid farewell to its Director of Programming Candace Schermerhorn, who is leaving to produce a documentary film which is currently in pre-production. Schermerhorn remarks, �It�s been a really terrific experience working with SBIFF and Executive Director Roger Durling. As a filmmaker at heart, I am compelled to take advantage of the opportunity that�s come along, but I am leaving with some of the most memorable experiences and friendships one could ask for.� Schermerhorn started with SBIFF 2001, leaving after the 2004 fest to shoot a documentary. She then returned in 2007, where she has served a vital role in elevating SBIFF to its current stature within the industry. Under her leadership, the festival has showcased a plethora of films from all across the world. SBIFF welcomes Michael Albright as the Programming Manager, who brings with him a diverse background in film. Mr. Albright learned documentary production by working in New York City for renowned direct cinema filmmaker, Albert Maysles on several projects including Jean-Claude and Christo�s HBO documentary, The Gates. In 2006 Albright started Project Moonshine, a 501(c)(3) non-profit organization in his hometown, Reno, NV which teaches filmmaking skills to teenagers by providing opportunities to document important cultural events happening in their community. Albright received his MA in Cinema and Media studies at UCLA in 2008 and is currently pursuing his PhD in Film and Media Studies at UCSB. The Call for Entries is under way for the 2012 season. Films will be accepted until the drop deadline on December 9. All films can be submitted through withoutabox.com.